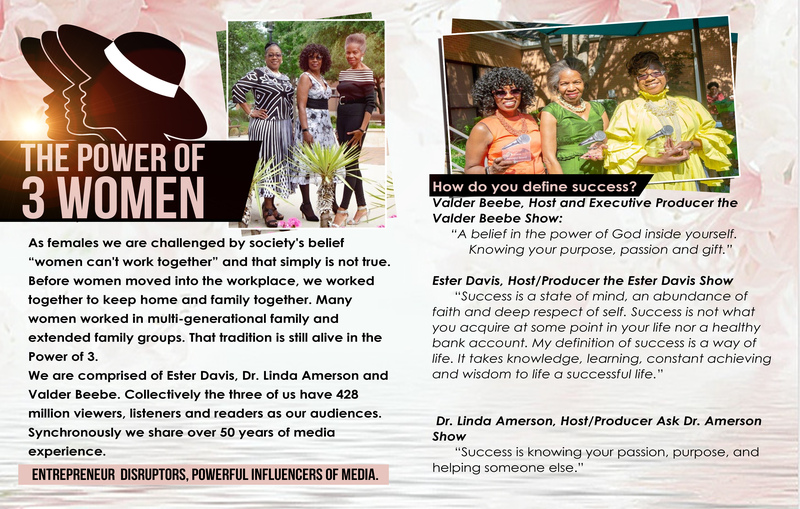 business owner, international educator, guest columnist, and radio and television personality, is one of the leading Trichologists in the World. She invigorates your scalp follicles for rapid hair regrowth, and heals scalp conditions. 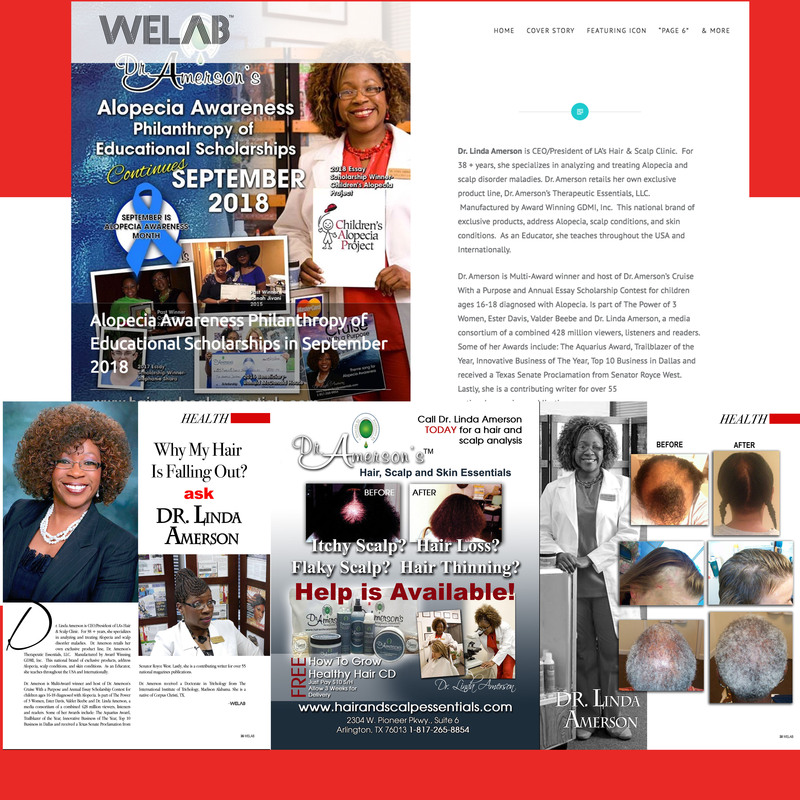 Her Revolutionary Product Line: Dr. Amerson's ™ Hair, Scalp and Skin Therapeutic Essentials, LLC feel like a spa healing treatment, designed to address many scalp disorder conditions, soothe and heal your scalp tissue, as well as promote hair growth for some alopecia conditions. The unique formulation of this product line is superior to most of the products on the market today., and have been clinically tested and approved. Healthy hair begins with a healthy scalp! Also, available are skin care products! Do not delay, call and order your products today! *This exclusive Therapeutic Product Line was formulated by a top chemist for Dr. Amerson. Dr. Amersons show included educational information about how to obtain Healthy Hair & Healthy Scalp, special guests, special offers on products, CD's & DVD's, essay & cruise info & much more! Help us spread the word about our 5th alopecia essay scholarship for YOUTH between the ages of 16-19. What is Trichology? Trichology is the scientific study of alopecia (hair loss) and scalp disorder conditions. It's origin was in London England in 1902. The American Academy of Dermatology recognizes the field of Trichology, and currently has one board member who is a doctor of trichology. 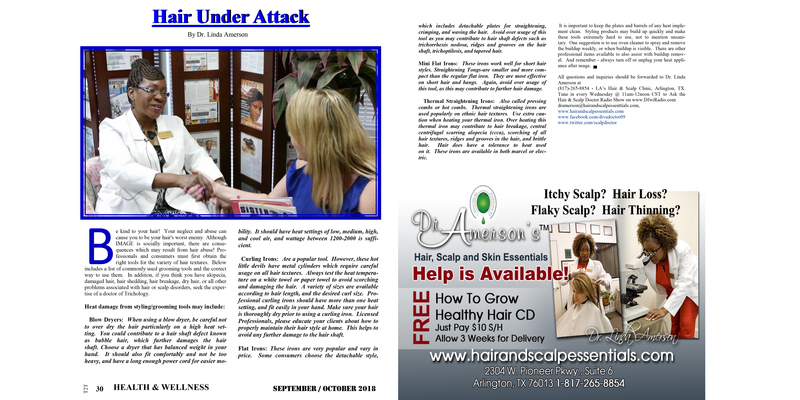 A Microscopic Analysis reveals hair and scalp disorders and deficiencies. To find out the health of your hair, please mail 10 strands of hair in zip lock bag to our clinic for a microscopic analysis. Please include a payment of $160 in the form of a money order or cashier's check. You may also pay via PAY PAL.